If you are looking for another at home treatment to give extra care to your mane, try a Mayonnaise Hair Treatment. 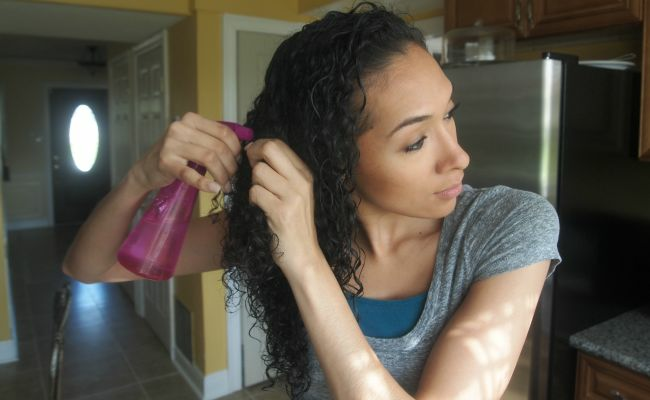 It's the one ingredient with multiple benefits that can help spring your curls back to life. 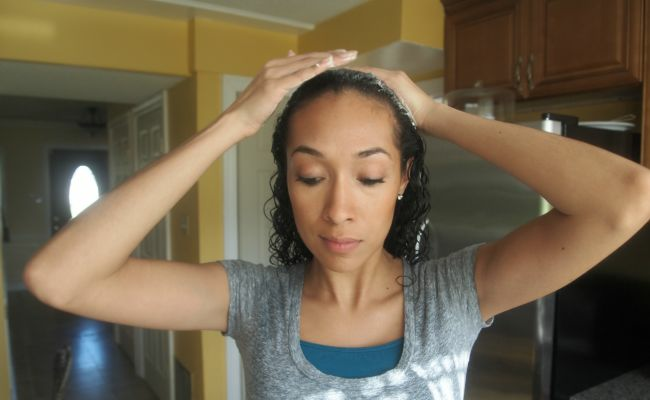 If you have been experiencing dryness or are trying to overcome heat damage, consider applying mayo to your hair. There are oils and proteins that help nourish your curls from outside and within that are found in this pantry item. 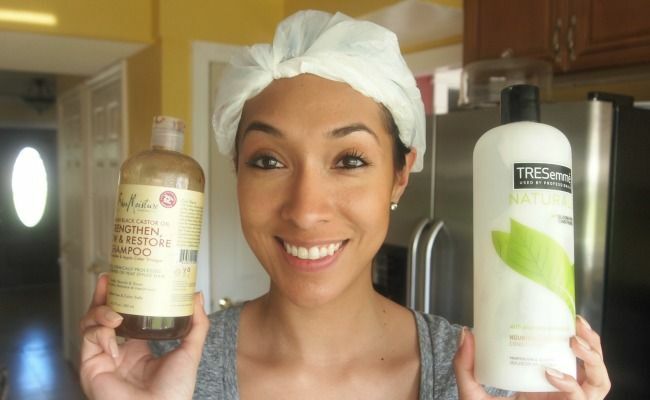 Curious on how to apply mayonnaise onto your curls? I will show you! I prepared my curls by spritzing warm water to my hair until it is damp. I found that it was easier to apply the mayonnaise into my hair this way. I scooped some mayonnaise into a separate bowl so as to not double dip into the mayo jar! I applied the mayonnaise from the bowl to my hair in a way that I would normally apply conditioner. Focus on applying more mayo to the areas that you feel are more prone to dryness. 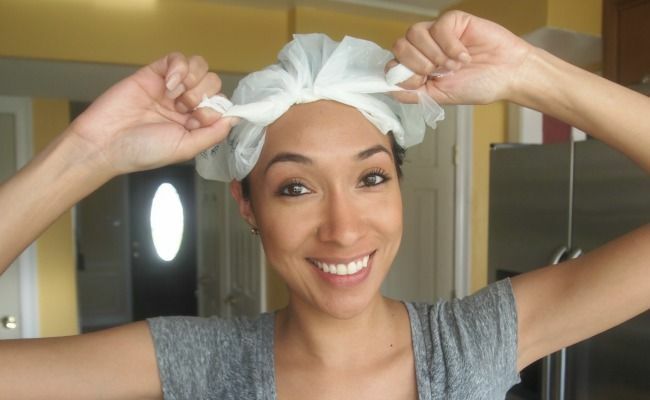 I then twist my hair in a bun and cover with a plastic bag to trap the heat from my head. This helps to open the cuticles of the hair strands to better absorb the moisture from the treatment. I added a warm towel to my head and covered that with another plastic bag to trap more heat. I left the treatment in my hair for about 20 minutes and rinsed it out with warm water and a sulfate free gentle shampoo. 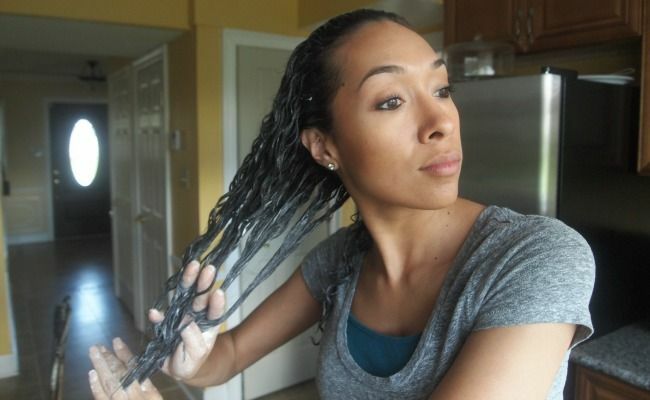 I used Shea Moisture Jamaican Black Castor Oil Sulfate Free Shampoo with Tresemme Naturals Conditioner. 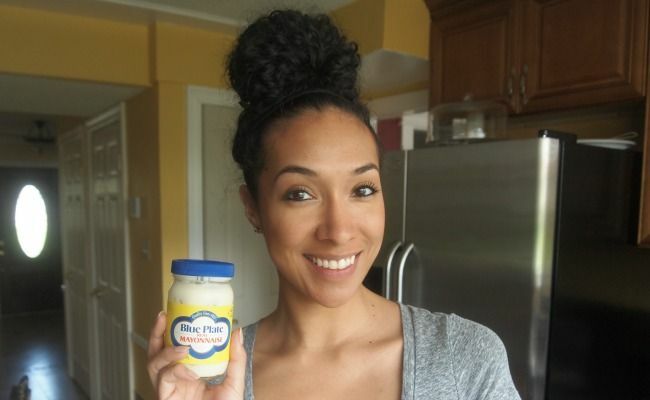 I really enjoyed using this simple mayo treatment because it is one simple ingredient. You could get fancy with it by adding extra virgin olive oil, eggs, or avocado to the mix. Always remember to test out a section of your hair with these treatments since you are adding protein to your hair, especially if you are protein sensitive. 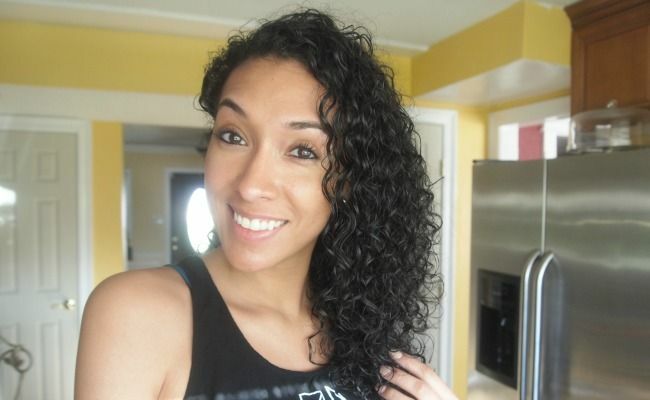 My 3b curls found this treatment effective, leaving my hair moisturized and shiny. What at home ingredients do you like to use in your treatments? For more curly hair recipes and tutorials, subscribe to my YouTube channel RisasRizos.